How Long Do Bearded Dragons Live? Vivarium vs Terrarium – What’s the Difference? Welcome to Vivarium World – the ultimate source of reptile care advice. Whether you’re starting from scratch or adding to an existing setup, browse by reptile to find the best vivariums and accessories for bearded dragons, snakes, geckos and tortoises. After all, reptile housing is more than just a tank. Giving your reptile the right living environment is essential for its health and well-being, and we’re here with helpful vivarium setup guides, reptile tank reviews and recommendations for the best vivariums for sale in the UK to help you make the right decision. Bearded dragons need a spacious, well-insulated home. Take a look at the best vivariums for adult and baby bearded dragons here along and read essential vivarium setup advice. Different breeds of snake need different living conditions. Read our snake vivarium reviews and essential snake vivarium setup advice to make sure you give yours the perfect home. Leopard geckos are nocturnal and need a home that replicates their natural living environment. Read our leopard gecko vivarium reviews and browse the best gecko vivarium available to buy. Tortoises are best-housed in well-ventilated, wooden vivariums. Take a look at the best tortoise vivariums available to buy and read our reviews to make sure you choose the right one for your pet. Choosing the right vivarium can be rather baffling if you don’t know what you’re looking for. Take a look at our quick guide to everything you need to consider before choosing your reptile’s new home. Bearded dragons, snakes, geckos and tortoises all have different habitat requirements and this should be the first factor to consider before buying a vivarium. It’s not a case of one size fits all; different reptiles have different needs and this will determine what type of vivarium they should live in. Looking for a good vivarium that won’t break the bank? Browse the best cheap vivariums available to buy and read our reviews to make sure you choose the right one for your pet. The more space you can give your reptile, the better, but some reptiles will need a larger tank than others with plenty of space to move around or climb. Read our guide to choosing the right size vivarium for your reptile or browse vivariums by size. When you’re buying a vivarium, you have a choice of two materials: wood and glass. Wooden vivariums tend to be the cheapest of the two and they’re much easier to insulate, while glass vivariums let you see much more of what’s going on inside the vivarium and they’ll keep the heat well in a warm house. Read our guide to choosing the right material or if you know what you want, browse vivariums by material. 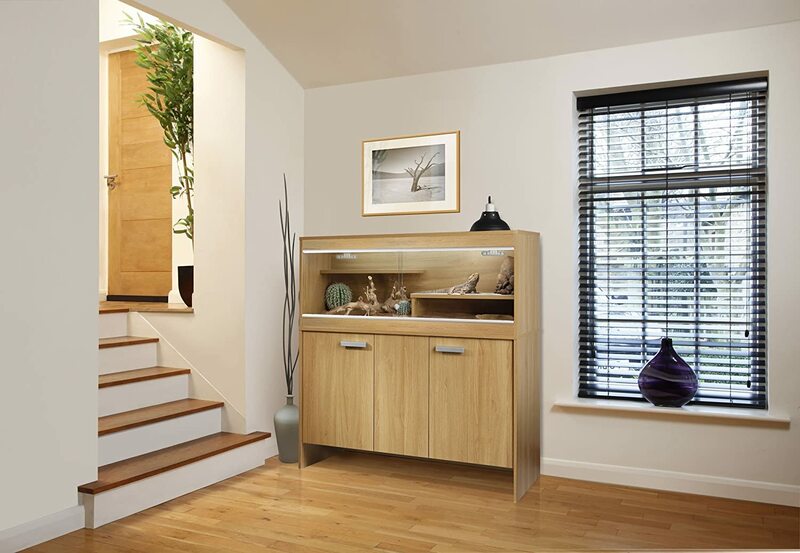 Don’t forget that whichever vivarium you choose will become a piece of furniture in your home. And while the health and wellbeing of your reptile comes first and foremost, it’s also important to choose a colour and material that fits with the rest of your decor. Housing a reptile isn’t just a simple case of buying a vivarium – heating, lighting and other vivarium accessories are essential for creating the perfect living environment for your pet. 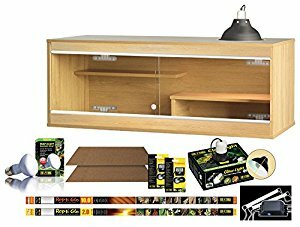 Take a look at our quick guide to vivarium accessories for the low down on everything you need to make your reptile vivarium a suitable home. From heaters and heat mats to thermometers, browse the best vivarium heating products, read reviews and find out what temperature your reptile needs here. Backgrounds aren’t just decorations; they’re an important part of replicating your reptile’s natural habitat. Browse the best vivarium backgrounds on the market here. Getting the right lighting is essential for your reptile’s health. Browse the best lamps and lighting solutions, read reviews and find out what light levels each reptile needs. 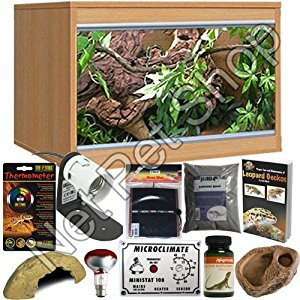 Browse the best vivarium decorations and build the perfect environment for your reptile to rest, play, sleep, hide or climb - caves, branches, hide outs and more. 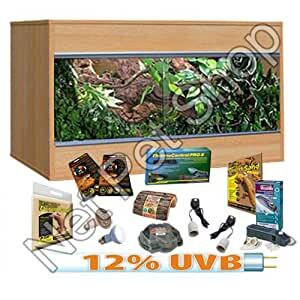 If you’ve never owned a reptile, a vivarium starter kit can make setting up your reptile’s new home much easier. They include all the basics you need to get started with an exotic pet, and some even come ready-assembled. 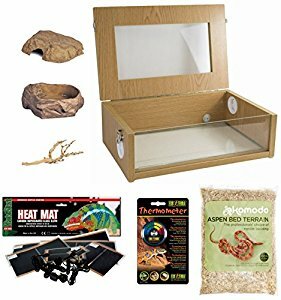 Still not sure what vivarium and accessories you need for your new reptile? Don’t worry, because help is at hand with our vivarium setup guides. Perfect for first-time reptile owners, we’ll tell you everything you need to know before you buy a tank for your bearded dragon, snake, gecko or tortoise. From which vivarium to choose, to what vivarium heating, lighting and decorations you need, read our handy setup guides for further advice. 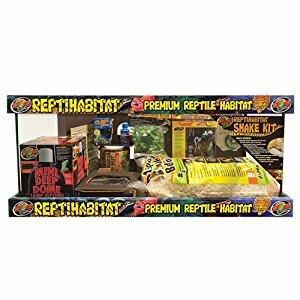 Whether you’re starting from scratch or adding to an existing setup, browse by reptile to find the best vivariums and accessories for bearded dragons, snakes, geckos and tortoises. After all, reptile housing is more than just a tank. © 2017 Vivarium World. All rights reserved.